That resolution—proposed by Distinguished NAEA Fellow David Pariser—prompted lively debate at the 2017 conference of the National Art Education Association in New York earlier this month. The clear consensus that emerged affirmed Pariser’s resolution. The three debate panelists were Lorrie Blair, Amy Brook Snider, and Anna Kindler, all with decades of experience in the field. Though by no means agreeing with every point in the book, two of the three panelists enthusiastically endorsed Pariser’s resolution—a sentiment reinforced by all but one of the audience members who participated in discussion following the panelists’ comments. Kicking off the debate, Blair argued that the book “gets us out of the echo chamber” of like-minded ideas that tend to dominate peer-reviewed publications in the field. 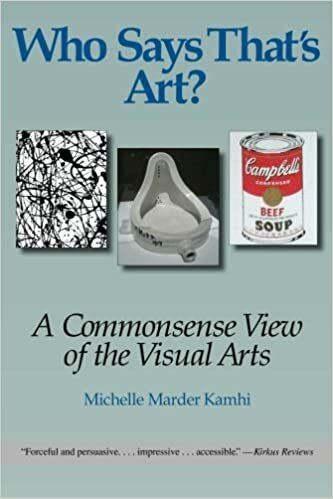 As an example, she cited the comment posted by Paul Duncum (a prominent art educator) on the book’s Amazon.com page. Her own first impulse on reading Who Says That’s Art?, Blair frankly confessed with some humor, had been to wish she could simply “unfriend the author” and thereby erase me and my ideas from memory. But on reflection she acknowledged that the book would have the salutary effect of piercing the art-education “filter bubble.” She therefore wholeheartedly endorsed its use, and thereby joined the ranks of courageous academics meriting praise for fostering healthy debate in academia. the case for art that we within the bubble . . . have repeated for years is not one that actually resonates with folks outside the bubble. Art education . . . will simply not win the battle for the hearts and minds of our fellow citizens unless and until we can provide clear and credible answers to those whom we ask to support our practice. . . . [I]f the world of art education were to adopt Kamhi’s definition, a persuasive case for art education would be much easier to make. During the Q&A that followed the panelists’ presentations and discussion, two high-school teachers in the audience expressed strong agreement with the resolution. Moreover, it’s worth noting that the only dissenting voice from the audience was that of Kevin Tavin—a radical in the field with whom I’ve long disagreed. Congrats Michelle! That’s terrific. It sounds like your ideas are increasingly gaining traction. Brava, Michelle! It may take months more, years maybe, for all who need to know the value(s) of your book – but that’s a reason we HAVE books, Word can spread about them, and we can discover for ourselves how fascinating this one is. Whether we dissent, disagree – whatever (as the young say) – our minds are bettered by considering the many cogent arguments you set forth. Good to see you getting (at least some of) the attention you deserve.